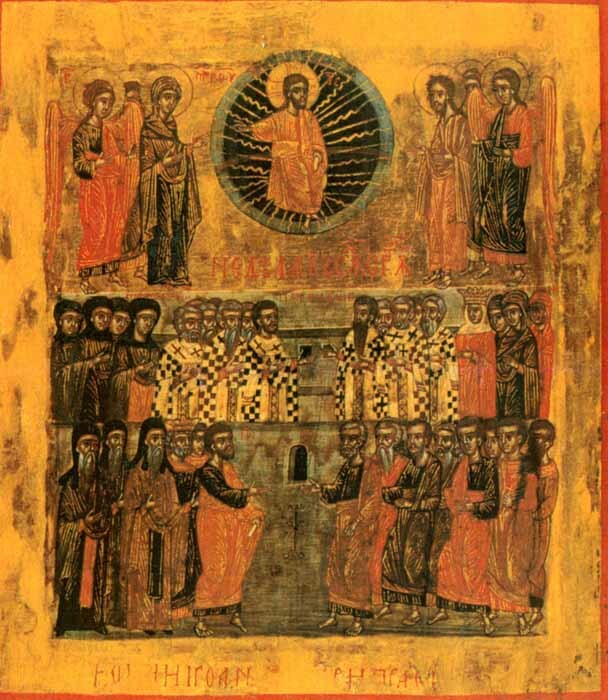 According to the teaching that the Holy Fathers handed down to our Church, the first Sunday of the Holy Lent is dedicated to the holy icons and to those who suffered for them during the iconoclastic persecution. It reminds us of the victory of Truth over all the heresies that have shaken Christ’s Church throughout the history and particularly over those who despised the icons, stating that God cannot be represented in any way through the mere colours of a painted image. Through His Incarnation, God gave humans the possibility to reach theosis; He gave all of those who believe in Him the power to become sons of God (John 1:12). Thus, by making Himself seen and felt, our Saviour can be represented in an icon, as a human. Today, icons are always present in any Christian’s life. Any prayer – whether it is done in church or in the peace of one’s own home – is accompanied by the holy icons. They accompany the Christian’s life everywhere.